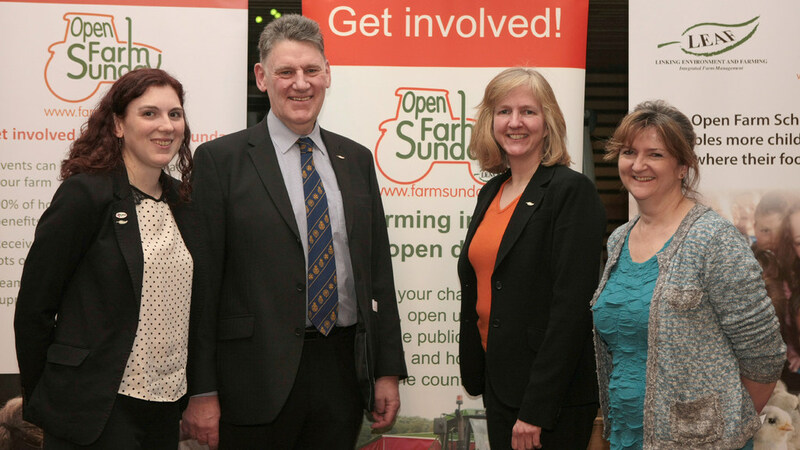 Scottish farming and food industries are being encouraged to take part in Open Farm Sunday, 2015. Linking Environment And Farming (LEAF) held a reception at Holyrood, Edinburgh to recognise the positive contribution Scottish farmers have made as part of Open Farm Sunday over the past nine years, in changing public perception and understanding of the farming industry. With 2015 being Scotland’s Focus Year of Food and Drink, Open Farm Sunday will form an integral part of the year. This year’s event will be held on June 7, 2015. Since 2009. 55,000 visitors have attended 63 farms in Scotland. Last year, 20 farms across Scotland, from Dumfries to Orkney, opened for Open Farm Sunday. LEAF is urging more farmers to take part in the 2015 event, to provide more Scottish families an experience of first hand farming and discover the story behind their food. Caroline Drummond, chief executive of LEAF explained why Open Farm Sunday is so important for Scotland. “Scottish farmers have so much to offer. Agriculture is not just a major part of Scottish history and tradition, but an important contributor to today’s economy. Since the initiative was created by LEAF in 2006, over 1.25 million people have visited a farm on Open Farm Sunday, providing a unique and inspiring opportunity for families to meet with farmers and find out how their food is produced. More than 205,000 visitors flocked to farms across England, Scotland and Wales in 2014, making it a record year for the event. Registration for Open Farm Sunday is now open. Click here for more information.